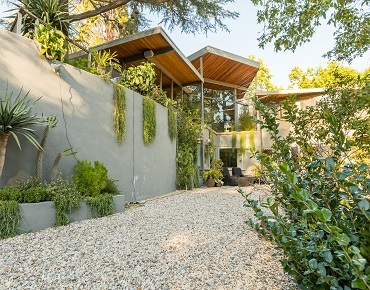 Established in the 80’s and under new ownership since 2007, our current library includes thousands of unique properties from residential to commercial listings, featuring architectural styles such as modern, mid-century to rustic and exotic. While the majority of our properties are located within Los Angeles, we have many locations to offer outside of Los Angeles within Southern California, the United States and abroad. We also offer our own in-house scouting services, but will work closely with outside scouts and assist them in their location pursuit. If you can’t find the location you are searching for on the website please contact us as we receive new location submissions daily. We like to think of ourselves as being able to work with all types of productions when it comes to shooting on location. We are on call 24/7 and will work the long hours it takes searching for locations, and at the same time doing our best to succeed with a producers budget restraints. Besides supervising the property we believe a site representative needs to maintain a relationship with the Producer on set to assist them in anyway and make sure their productions runs as efficient as possible. Services we offer: Location Library, Scouting, Location Management, Permit Coordination, Location Agreements and Fee Negotiations. Property rentals include clients in still photography, commercial, film, television, reality show, music video, executive vacation rental, and special event industries.